On Friday afternoon, the Blackhawks reportedly traded forward Rob Klinkhammer to the Ottawa Senators for a conditional seventh round pick in 2013. Klinkhammer is expected to report to Binghamton (AHL). Klinkhammer, 25, had six points (two goals, four assists) in 18 games with the Rockford IceHogs this year. I’m curious what this move was made for. The Hawks aren’t a club desperate for picks, especially late rounders. At worst Klink was a solid AHLer for the organization, and at best could have potentially factored into the fourth line/13th forward position (to reiterate – at BEST). I wonder if this move wasn’t made to clear a roster spot for a player like Rob Flick to come back to Rockford from Toledo of the ECHL? 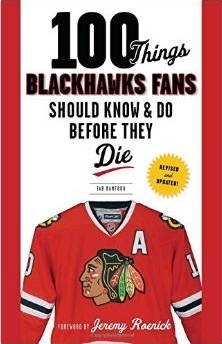 Perhaps the Hawks might finally send Scott down? Perhaps another, more significant trade is on the horizon that makes this move necessary. In any case, this move doesn’t seem to have been made simply for the sake of stockpiling picks. Did anyone else notice that the Hogs are still advertising Rob Klinkhammer Bobble-Head Night, December 17th against the Admirals? No real comment, just found the whole thing somewhat humorous.